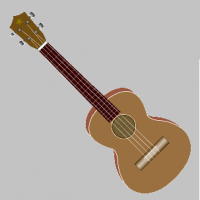 It’s been almost a year now since the inception of a Purbeck U3A Ukulele Group and I want to sing its praises and let everyone know what we have done in that time. We struck gold when Richard, a music teacher and husband of a PU3A member, volunteered his time to teach us. Our first meeting was at Stoborough Village Hall on a snowy blizzard afternoon on 1 March 2018 and despite the cold we had a fun and very worthwhile afternoon playing inappropriately ‘Singin’ in the Rain’ among other simple songs. We had about 12 members at this point. Our repertoire grew and some more people joined us over the coming weeks. Our first performance with an audience was at our AGM in May 2018 which gave us a sense of accomplishment and we have continued to grow since then. We currently have 33 members on the register with around 25 players attending each week at Stoborough Village Hall. The group's ethos is to help one another and have fun along the way. We are indebted to Richard for leading us and also to members who help in whatever way they can. More members continue to join us and we are all at different levels but continue to play together to our own individual level, with most players singing heartily to the songs. A lot of background work goes on which enhances the smooth running of PUUG. A significant amount of time is spent researching and preparing the music sheets as well as providing for optimum legibility for mature eyes, preparing the refreshments and setting up each week - with most members contributing in some way. I also like to think that after a group session of playing and singing, we go home feeling uplifted and inspired, having had an enormous amount of fun and banter throughout the afternoon. As I mentioned earlier, we played at the AGM last May, but also played at the U3A Prom Night held in December. We have performed at Pine Martin Grange Care Home , Holme Gardens twice - for their Summer open day, Christmas Carols in their Orchard Conservatory, and The Kings Arms in Stoborough. In doing these, we have raised money for our chosen charity for the year, CLIC Sargent. – There are more gigs in the pipeline! So watch this space. Leader, Purbeck U3A Ukulele Group. 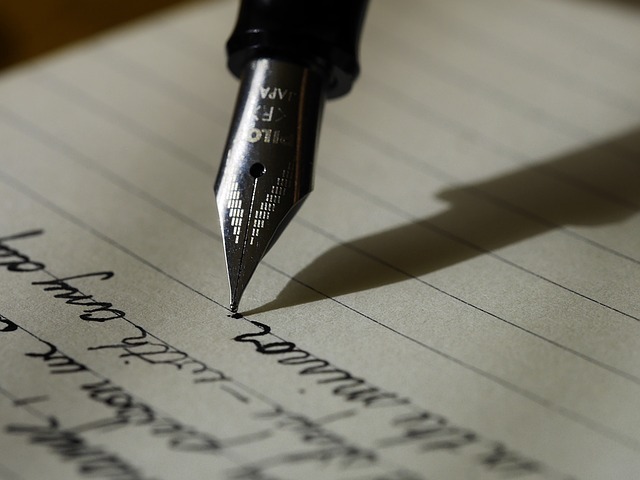 While you are waiting for spring to arrive, why not have some fun and try your hand at writing ? £50 prize judged the best Purbeck-related submission from any of the categories. Entries (previously unpublished) may be submitted on-line or by post. More than one entry may be submitted in any or all categories. Entries will be judged anonymously. Further information and a copy of the Submission Guidelines available from Sandra Crook at info@purbecku3a.org.uk to whom any queries should be addressed. Calligraphy, Dancing, Dining and Genealogy. If you would like to start a Memoir Writing Group (perhaps based in Swanage) the leader of our Wareham Memoir Writing Group will be pleased to support you to get this started. Use the link to the Wareham group to contact Lyn, the leader. These will undoubtedly attract quite a few enquiries. Response from enough people will enable us to move onto the next step – an informal meeting for each subject to discuss the way forward for the group and to get it launched. You can read more about these exciting new groups on our New Ideas page. Just over two years ago I joined the Cat Socialisation team, or the ‘Cat Cuddlers’ at Margaret Green Animal Rescue Centre in Church Knowle. At the time my husband and I were spending lengthy periods overseas, and I wanted to volunteer somewhere that offered some flexibility for my spare time. This fitted the bill perfectly, as I could spend whatever hours I had available between 10.00am and 3.00pm, seven days a week, whenever we were back home. After a brief induction session, I was introduced to the cats, each of whom has a unit of their own, together with a small outside area. Each cat has its own ‘traffic light’ warning marker outside its unit, together with further information on its background circumstances, health and guidance on contact. Whatever trauma brought these cats to the Centre, (and some of their stories are heart-breaking), most of them will benefit from brief spells of close human contact, which will in turn increase their chances of being re-homed when prospective cat-owners visit the Centre to find the right cat for their circumstances. Some cats just don’t help themselves when it comes to impressing visitors, hiding in their beds, shying away from outstretched hands or even hissing when the arrival of strangers seems threatening. The more they become accustomed to the presence of different people, the more likely they are to respond positively to visitors and be rehomed. It’s been such a rewarding experience, watching the way cats change with a little one-to-one attention. I’ve seen cats that have refused all food, suddenly devouring an entire meal after ten to fifteen minutes of gentle stroking, and cats that have cowered at the back of their furry igloos for days, slowly emerging for a stroke or a cuddle. If you think you might have a few hours to spend helping cats in this way, contact Kelly.griffen@MGAR.org.uk. This has been a difficult year for Margaret Green Animal Rescue with the loss of two major revenue streams; the Companion Dog Show was cancelled due to the excessive heat at the time, and the Country Fayre cancelled due to heavy rain and high winds. If any U3A member has time to spare, there are various ways you can help besides cat cuddling – collecting donation tins near to you, painting, sorting food donations, supplying shoe boxes filled with Christmas treats for the animals, baking cakes for fund-raising events. Some volunteers have even propagated cuttings from their gardens for the Plants Sale table, which is located near the office during the summer months. Visit the website at https://www.margaretgreenanimalrescue.org.uk/Volunteer.html or call Jazmin on 01929 477074. Maybe there is some way that you can help them through this difficult time. Purbeck U3A is a large and lively part of the National U3A. We have nearly 700 members and over 40 groups. Any organisation, both commercial and voluntary, requires people to keep it running smoothly. Nothing stays the same, it is constantly developing and evolving. The very nature of our members means that people do relinquish their roles and we are always looking for people to join us in keeping it all running on an even keel. We need 3 or 4 new people to join us on the committee. One specific role would be as news editor for the website. The other places will be ‘in waiting’, that is working with committee members in a specific role ready to take over when the time comes. The more people we have on our committee the easier it becomes. You may have relevant experience in a previous life, before you started the glorious world of retirement. You may want to start something completely new. I can assure you that Committee does not mean a stuffy bunch of people working to a rigid plan. On the contrary a committee meeting is a lively and relaxed event with everyone contributing their thoughts and ideas. New ideas are very welcome and very important. We welcome members to committee meetings as observers so you can see for yourself how we work. Please get in touch and find out more. I can offer you a coffee and answer any questions you may have. We are all extremely fortunate to live in one of England's most beautiful areas. There are Litter Picking Groups in most of the Purbeck Villages. They organise rotas and provide Hi Vis jackets etc. You don't have to make a massive time commitment . The IT Group explores all forms of Information Technology using computers, tablets, smartphones, cameras, video cameras, audio, television, etc. both hardware and software. With such a large remit, many and varied topics will be discussed mostly in group clusters: it will not be a ‘course’ as such, more a forum where those that know about various IT topics can share with those who want to know about them! Meetings are held on the Second Friday in the month from 14:00 to 16:00 in Harman’s Cross Village Hall. Interested? Contact the Group Leaders at IT@purbecku3a.org.uk to join us. For further information go to the Information Technology Website. Presentations, given by guest speakers or group members, are given monthly on the third Wednesday of each month. They start at 10am and last for two hours, including a 20 minute refreshment break. The illustrated talks comprise a wide range of technological subjects presented in a friendly and informative manner. We meet in Corfe Castle Village Hall from 2.00 to 4.00 and also have outings to various places as suggested and often organised by group members. We also have talks and activities organised & run by members. We are a very democratic group and try to use public transport/car sharing as much as possible. We will plan, with group members, activities at one of the meetings. We are a very flexible, welcoming group. Bridge for Fun has moved ! The Bridge for Fun group has moved to Stoborough Village Hall and meets most Friday mornings throughout the year. This new venue means we have more spaces for more players. Even though you might be rusty at the game why not join us and have fun on a Friday. We are very pleased to say there was a very good response and much interest in a boules group at Corfe Castle Social Club. After an introductory meeting three groups have been formed each to play on a different morning. The players are a mix of novices and previous players. The novices have picked up the game very quickly and of the few games played so far everyone appears to be enjoying the sport and the social side. Nothing too serious just some fun. Because there are only two pitches available group numbers have to be limited to 12 so that everyone who turns up will get to play. If there are still U3A members who want to take part in the future we are happy to making a waiting list. Please email for details of the start date in 2019. At the meeting I mentioned a newly published book that gives a great insight into the experience of living with dementia. It is written by Wendy Mitchell, who was diagnosed when she was 58 years old. When I read it I learnt so much more about how life changes and strategies to help cope. When my husband, who has Alzheimer’s, read it he said it exactly described how it felt for him. The book is titled ‘Somebody I used to know ‘. Author, Wendy Mitchell. Published by Bloomsbury. £16.99 hardback. My husband and I have found great support and friendship at the local Memory Cafes, run by Alice from Alzheimer’s UK. The Wareham meetings are held at Carey Hall on the first and third Mondays (except Bank Holidays) 10.30 am to 12noon. In Swanage we meet on the first and third Thursdays at Emmanuel Church at Herston 2.00 pm to 3.30 pm. Anyone with dementia and their carers are always welcomed. There’s always tea/coffee and cake as well as interesting activities.